As we reported last month, Eurocontrol published a ‘Rapid Alert Notification’ on their website regarding imminent air strikes into Syria. Beyond this alert and NOTAM though; nothing else happened. A few days later, the conflict escalated. Very few commercial flights operate over Syria, and authorities in the US, UK, France and Germany have all previously issued warnings for Syrian airspace. But many airlines regularly transit the LCCC/Nicosia FIR: there are frequent holiday flights to the main Cypriot airports of LCLK/Larnaca and LCPH/Paphos; overflight traffic from Europe to the likes of OLBA/Beirut, OJAI/Amman and LLBG/Tel Aviv; as well as traffic from Istanbul heading south to the Gulf and beyond. What has happened in the few weeks since then? 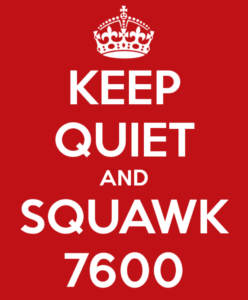 Normal Eurocontrol protocol is (during expected ATC strike for example) – regular teleconferences with operators, active re-routes and removal of certain overflight approval requirements. So did that happen this time? No. Essentially just radio silence on Syria and operations in the Eastern Mediterranean Sea. Right now, it’s a busy place. 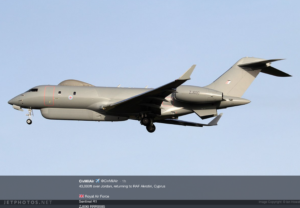 With all the normal holiday traffic in the region, there is also a large number of military surveillance aircraft from numerous nations patrolling the region. United States assets operating from Greece and Italy. UK air power from Cyprus and the French from bases in Jordan. Add to that the normal Israeli defense air frames and even the odd Swedish gulfstream surveillance flight! Then there are the Russians conducting aerial operations and defense exercises in and around Syria. 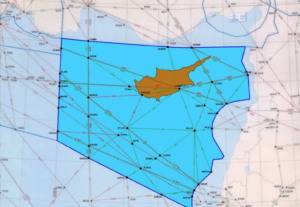 Cyprus has activated a litany of “temporary reserved/segregated areas” inside of Nicosia FIR. On May 3rd, Cyprus issued this vague information, to ‘exercise caution’. There is also a current warning about GPS interruptions. It may be unfair to blame the authorities completely. At the end of the day, due to the lack of appropriate communication from the various security agencies it’s hard to get accurate information out there. Still, there was enough warning to alert civilian operators of imminent strike – but then nothing else. Shouldn’t airspace customers and users expect more? Let’s end it with this great 2009 (and still current) NOTAM from the Cypriots. A0687/09 – NAVIGATION WARNING TO ALL CONCERNED.